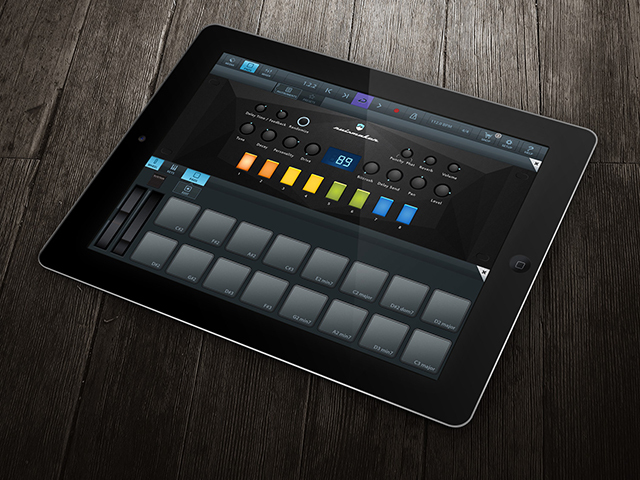 This iOS music app roundup spotlights ten excellent tools for music production, DJing, and sound design. The Moog Model 15 is the first Moog modular synthesizer and synthesis educational tool created exclusively for iPad, iPhone, and iPod touch. The character, harmonic complexity, and mystique of the Moog Model 15s modules, from the legendary Moog 921–series oscillators and 904A Low Pass Filter, to the coveted 907 Fixed Filter Bank have been preserved. This impressive sounding synth features both monophonic and 4-voice polyphonic operation controlled by four seamlessly integrated controllers. Simple swipes and taps provide instant access to a traditional Moog keyboard, 1150 ribbon controller, 8-step sequencing arpeggiator, the award-winning Animoog keyboard with 22 built-in scales and polyphonic modulation capabilities, and much more. Read more at Moog Music Inc.
At Dubspot our world-class instructors provide the most complete and cutting-edge Ableton Live learning experience. The Ableton Live Producer Certificate Program is the flagship of our music training. After completing this program, you will leave with a portfolio of original tracks, a remix entered in an active contest, a scored commercial to widen your scope, and the Dubspot Producer’s Certificate in Ableton Live. Visit the Ableton Live course page for detailed information on this program here. « Dubspot X Sale: Celebrating 10 Years of Music Education in NYC, LA, and Online.